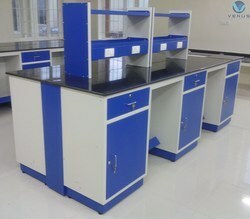 Offering you a complete choice of products which include laboratory island table, custom made island table and island table. 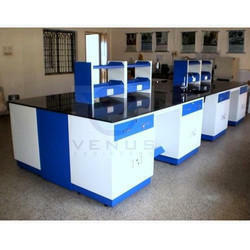 We are the Leading Manufacturer and Exporter of Laboratory Island Table in Coimbatore, India. Owing to the immense experience and a competent team of experts, we are able to offer Island Table to respectable clients. These island tables offered by us are made utilizing high grade stainless steel, which is sourced from trustworthy vendors of the market. In addition to this, the offered range of island tables is available with with hinges and the shutter modules have removable shelves. We are the Leading Manufacturer and Exporter of Custom Made Island Table in Coimbatore, India. Our range of Isand Tables is offered to the clients to cater to their exact requirements in an efficient manner. 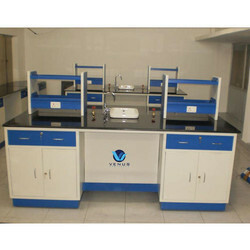 These tables are widely used for safe-keeping various instruments. Entire load will withstand a load of 500 kg per 300 Sq.cm. We provide these tables in granite top, and electrical power points. With the valuable assistance of skilled team of professionals, we are engaged in offering an extensive range of high-quality Island Table.